"Is Halliwell the most exciting DJ on the planet right now? Maybe!" When any DJ at the top of their game steps up in the booth it has that effect. Before they cue up a track, or even plug in their headphones, the mood changes – eyes dart to the front, people get up on their toes, breathing quickens as pulses begin to race and there is a murmur of expectation. But with Eddie it’s not merely a murmur, it’s a rapturous roar, one that grows until at its crescendo somewhere in the crowd the chant begins – “EDDIE! EDDIE! 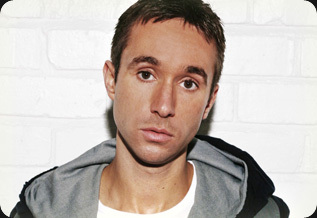 EDDIE!” - at that moment the uninitiated know they are in for something special, that they are about to see someone special: Eddie Halliwell, the precocious talent, championed by the dance floor to become one of the biggest breakthrough DJ’s on the planet. It has been a meteoric rise. Not only is it screamed out on dance floors across the globe, but he’s renowned as one of the major players in dance music, having just been voted 19th (top 20 for the 4th consecutive year) in the ‘DJ Mag Top 100 DJ’s Poll’, and voted DJ of the year twice by Mixmag, the only DJ to win the award more than once. DYLOOT is without a doubt one of the most renowned trance djs on the United States. Best known for his warm stage presence and alluring performance, Dyloot elevates the the dance floor with his progressive blend of deep and melodic trance. 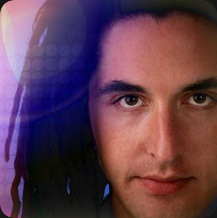 His smooth mixing style is sure to take your soul on a euphoric and blissful journey and will leave you captivated. Dyloot and Steve Baltes of Germany began producing under the name DEEP VOICES in 2004. Their trans-atlantic partnership has united their styles of deep and melodic trance. They have composed an array of trance releases on international labels and have received ongoing support from many A-List djs. Throughout his career, Dyloot has played alongside many of the worlds finest djs. Most notably Armin Van Buuran, Tiesto, Paul Van Dyk, Ferry Corsten, Above & Beyond, Deadmau5 and Markus Schultz.